After the Columbine Massacre (search the related article) America hoped that another similar shooting would never happen. On 16 April 2007 South Korean student Seung-Hui Cho proved them wrong. Diagnosed with depression and a severe form of an anxiety disorder, he was given treatment and allowed to attend school. Much of the work he submitted contained violence but no one thought to issue a warning. Seung-Hui Cho was born on 18 January 1984 and his family emigrated to America in September 1992, finally settling in western Fairfax County, Virginia. He was bullied at Westfield High School and rumours surfaced that he had compiled a hit list of fellow pupils he wanted to kill. In 1999 he had written in a school essay that he wanted to “repeat Columbine”. He enrolled on a business information technology degree course at Virginia Polytechnic Institute and State University (Virginia Tech) but then changed his course to English. He lived with five others in Suite 2121, Harper Hall on the campus. During his time there he was accused three times in late 2005 of stalking and was thrown out of a class for photographing the legs of female students under a table. His killing spree began at 7.15am on 16 April 2007 when he shot Emily Jane Hilscher and Ryan “Stack” Clark, on the fourth floor of West Ambler Johnston Hall. 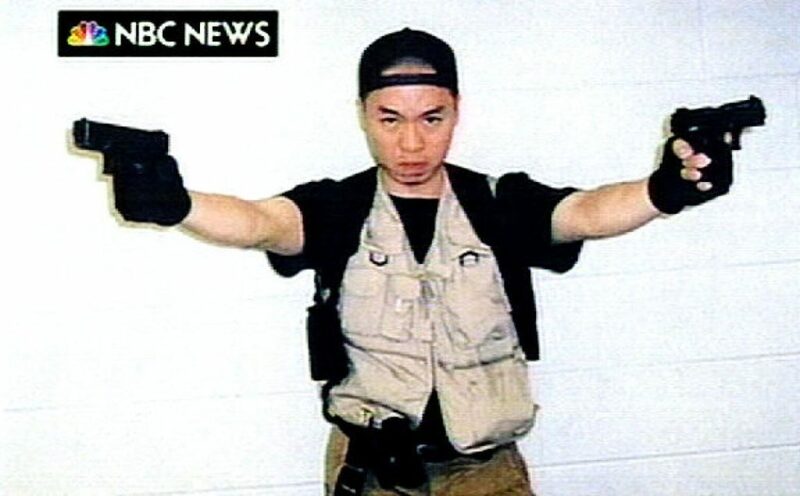 Sometime before his next attack Cho sent a parcel of pictures, digital video files and documents to NBC News. Among his weapons were a .22 calibre Walther P22 semi¬automatic pistol and a Glock 19 semiautomatic pistol. At 9.45am he walked into Norris Hall and in the space of nine minutes opened fire on dozens of people, killing 30 of them and wounding 25. As the police arrived Cho barricaded himself into Room 211 of Norris Hall and shot himself in the head. He was 23 years old.